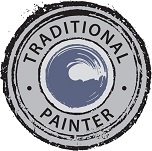 This furniture painting project was for some good clients of mine who had previously commissioned me to paint their ‘pippy or pipped’ oak kitchen. 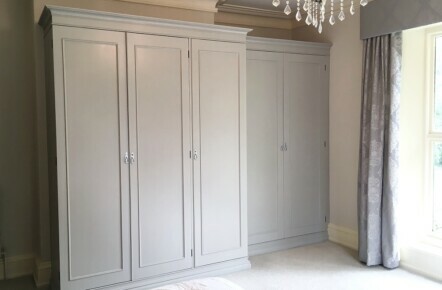 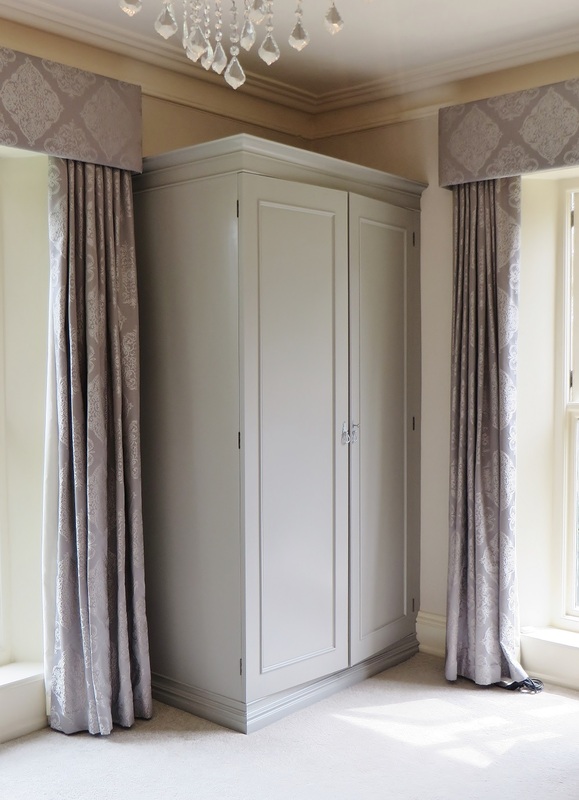 These fitted wardrobes were also beautifully made but the central panels were cracking and they were so dark they completely dominated the room. 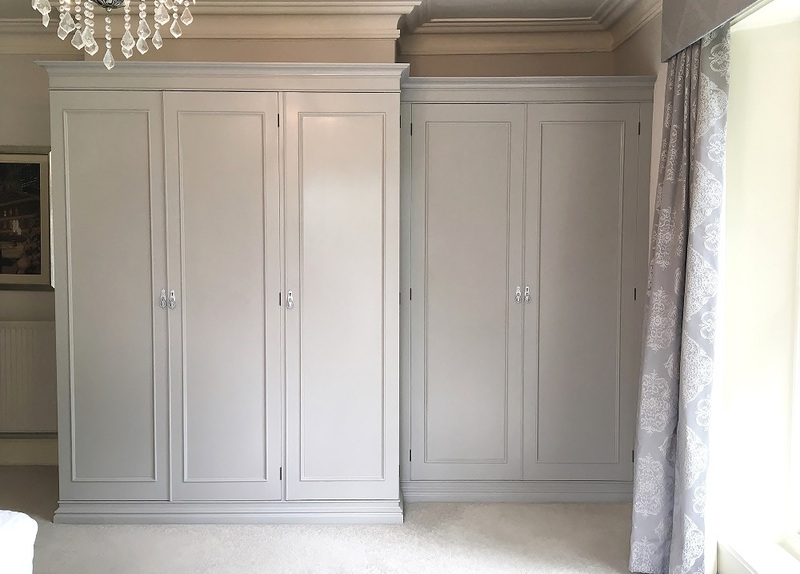 Refurbishing them with a hand painted finish was the perfect solution as it would create the minimum of disruption, be far more cost effective and also avoid any knock on effects like a new carpet and re-painting the wall. 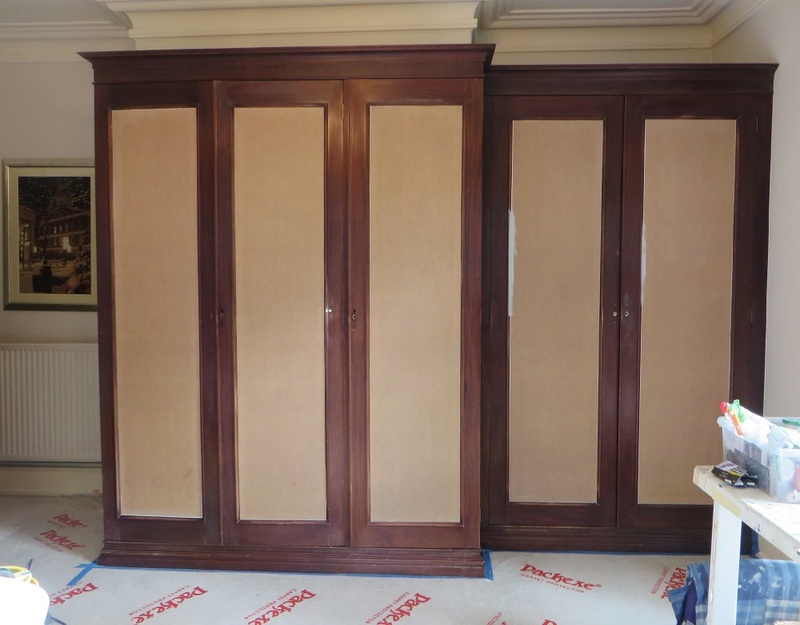 Before any painting work could be done the central panels were covered with 3mm mdf as the original laminate was completely cracked and irreparable. 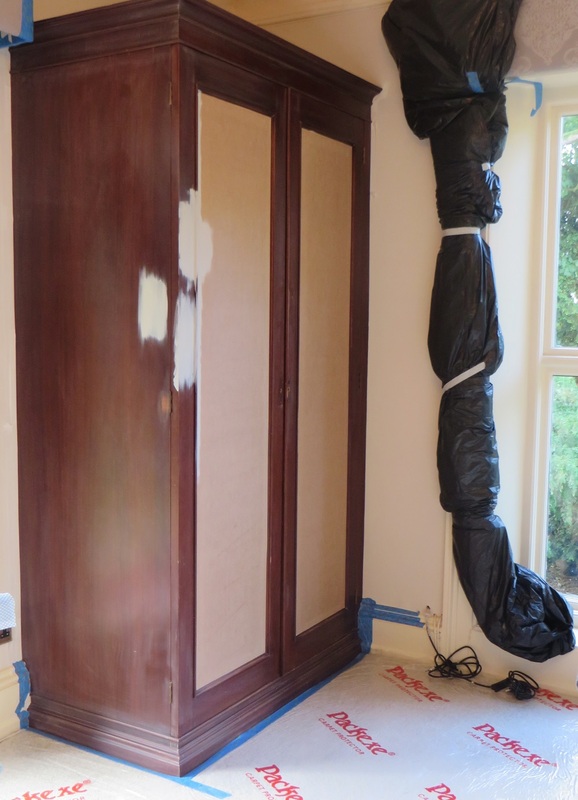 As with all my projects, the preparation was meticulous; all the carpets protected with Packexe, all the curtains wrapped up and every inch thoroughly cleaned and sanded. 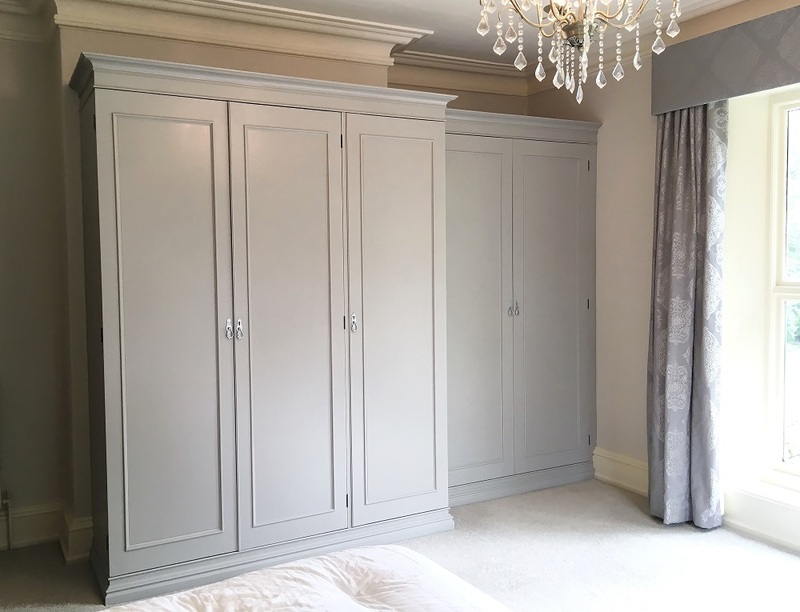 For the paint; the colour chosen was Little Greene’s ‘French Grey Dark’, which I had accurately tinted to the equivalent shade by Holmans Paints in my specialist paint system from Finland. 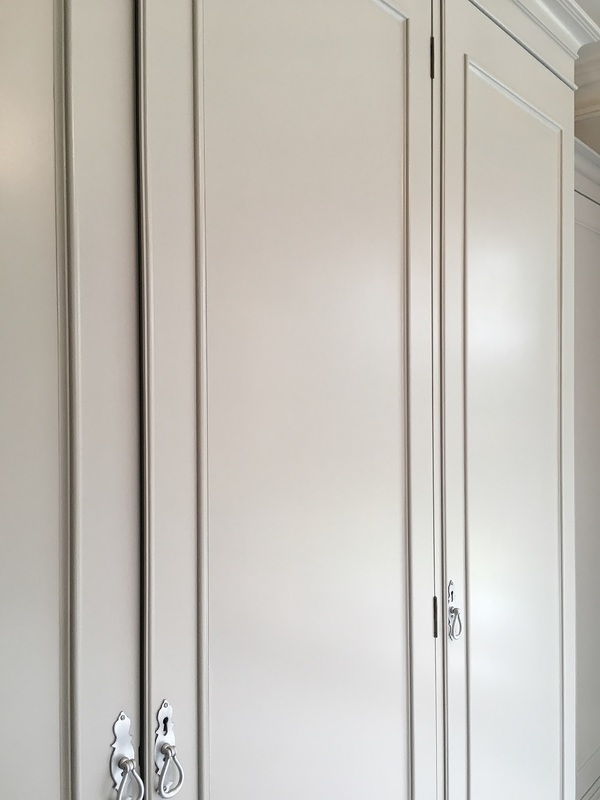 For this kitchen I used entirely oil based paint to create a perfectly smooth eggshell finish with around a 20% sheen level. 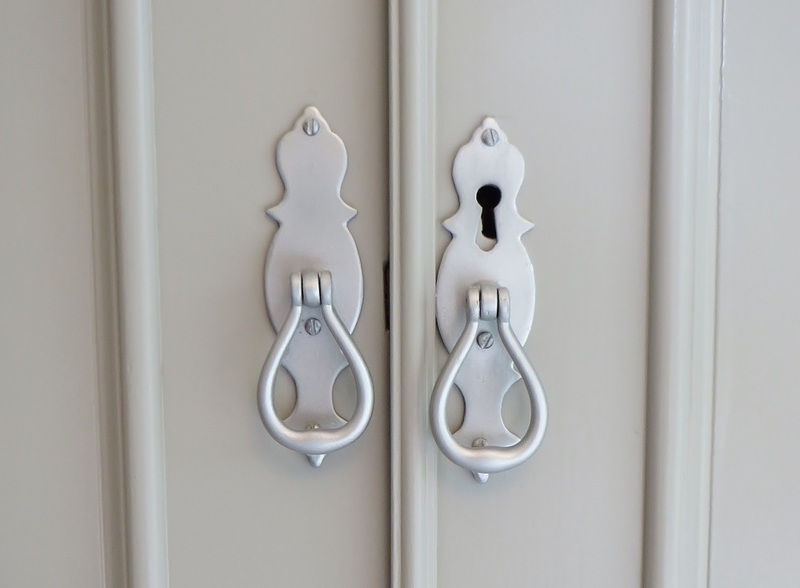 I also re-conditioned the handles by cleaning, sanding and spraying them silver to match the curtains. 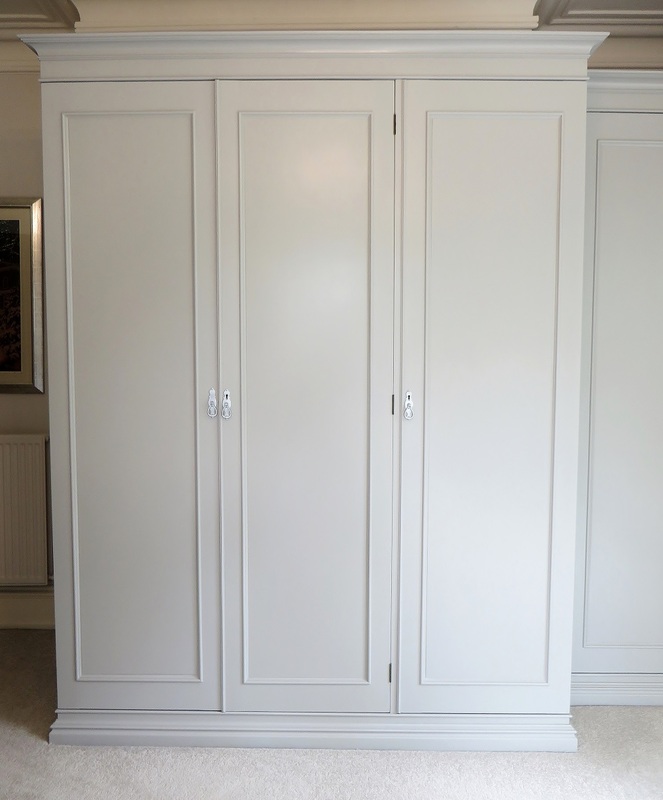 Lee works throughout Yorkshire and the UK and is within easy reach for projects in Ripon, Thirsk, Northallerton, Wetherby, Leeds, Doncaster, Wakefield, Halifax and the surrounding areas.